The Federation of Petanque U.S.A. — the FPUSA — is the official governing body of the sport of pétanque in the United States. The FPUSA, as we know it today, was created in 1987 by the merger of two earlier organizations, the FPUSA and the APA. Petanque is played in the United States wherever recent immigrants from France, particularly those from the south of France, have settled. Following WWII there was an influx of French into the San Francisco Bay area, and petanque became a vehicle for social interaction at gatherings of the newly arrived. In 1959 the first petanque club in the United States, La Boule d’Or, was organized [in San Francisco] by Jean Bontemps, an importer from Provençe. In 1960 La Boule d’Or was host to an international tournament on their home terrain in San Francisco’s Golden Gate Park. Participants came from Quebec, France, and Tunisia. Bontemps later moved to Washington DC, where he met Alfred Levitt, a painter. Levitt had been teaching art in St. Remy de Provençe, where he developed a love for petanque. In New York, in 1968, Levitt founded the club La Boule New Yorkaise, which met to play petanque in Washington Square. Levitt contacted the FIPJP and with their blessing founded the Federation of Petanque, U.S.A., Inc. (FPUSA) in 1973. The FPUSA was originally the creation of Alfred Levitt. Levitt, a painter, lived in New York City but traveled frequently to France where he ran an art school in Provence. Levitt discovered petanque in Provence, and brought the game back to the United States. In 1968, Levitt and his wife Gertrude founded the first petanque club in New York City, La Boule New Yorkaise (LBNY). At first they played on the gravel foot-paths in Central Park, and later moved to the gravel paths in Washington Square Park, closer to Levitt’s home in Greenwich Village. There are suspicions that when Levitt contacted the FIPJP in 1973, he lied about the number and size of clubs in the USA in order to gain recognition from the FIPJP. In any event, he got it and the FPUSA came into existence in 1973, with Alfred Levitt as its first president. Eventually (by 1986) the FPUSA grew to 8 member clubs. Most clubs were located on the East Coast, but there were exceptions. On the West Coast, the Los Angeles Petanque Club and La Pétanque Marinière were members. At the time that Levitt created the FPUSA in New York City, petanque was better-established on the west coast — around San Francisco and the Bay area — than it was in New York. At that time, the San Francisco Bay area had (as it still does today) a healthy population of French chefs and French winegrowers. After Jean Bontemps founded La Boule d’Or in 1959, it was followed in the 1970’s by La Boule Joyeuse, and La Pétanque Marinière (1972). In the mid-1960s Bontemps had moved to the Washington DC area and founded two local clubs. 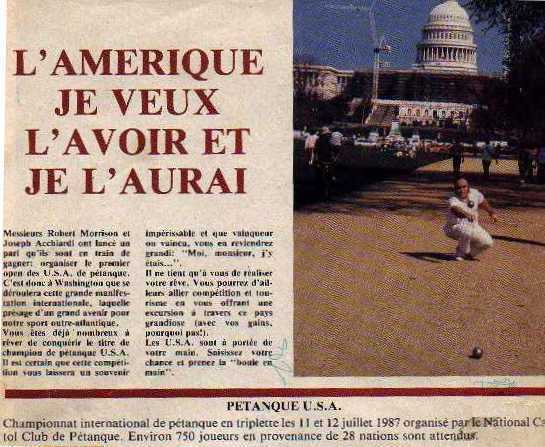 In 1976 he set up the American Petanque Association (APA) in Washington, DC, probably to create a national petanque organization not dominated by Alfred Levitt. Despite the APA’s east-coast base, most of its member clubs were located on the west coast. Eventually (by 1986) the APA had 14 member clubs. For a number of years the APA and the FPUSA existed side-by-side. The APA did better than the FPUSA, and periodically sought recognition from the FIPJP. But the APA could never get official recognition from the FIPJP, which did not want to recognize two national petanque federations in the United States. That meant that during this period the APA wanted — but could never get — access for its members to international FIPJP championships. There was interest on the part of the APA in merging with the FPUSA. But nothing ever came of it, primarily because of the prickly personality of Alfred Levitt. Levitt had an irritating, authoritarian, and aggressive personality, and apparently antagonized almost everyone he dealt with. The West Coast APA members found the New York-based Levitt too difficult to deal with, so they simply avoided him. The two organizations continued their separate existences. Levitt was almost 90 years old, but had no plans to retire. Eventually, in 1985, he was forced out as president of the FPUSA. His successor as president of the FPUSA was Hans Jepson, also of La Boule New Yorkaise. The end of the Levitt regime reopened the possibility for negotiations between the APA and the FPUSA. In 1986, Robert Morrison of the APA and the National Capital Club de Petanque in Washington DC got on a train and went up to New York City to meet with Jepson. Morrison remembers the negotiations as being almost a non-event. He proposed that the APA clubs merge with the FPUSA, and Jepson said “OK” and that was about it. At the time, the FPUSA was the weaker of the two organizations, but it was the one with FIPJP recognition, so the new organization was known as the FPUSA. Jepson served as president pro tem of the new organization, until elections could be held early in 1987. Joseph Ardagna of Club de Petanque of Portsmouth, Virginia was elected as the first president of the new FPUSA. 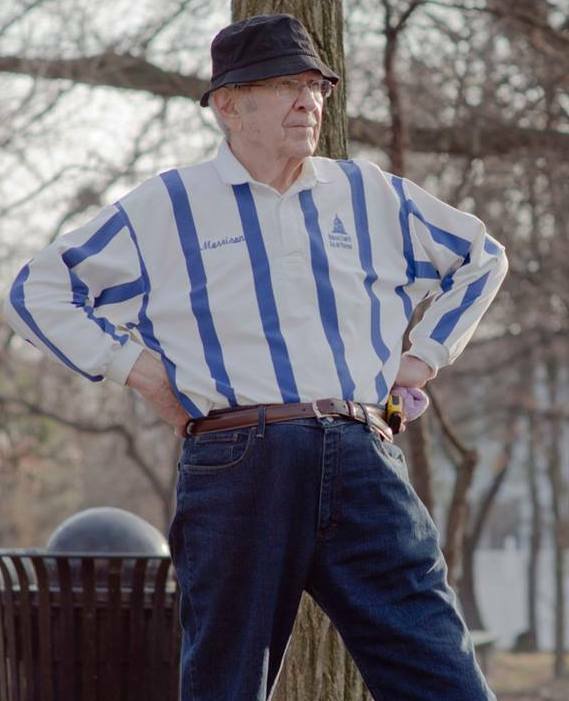 When the two organizations agreed to merge, Bob Morrison and Joe Acciardi began work on organizing the United States’ first international tournament — the Championnat International de Petanque U.S.A.. Morrison financed the event out of his own pocket. The Championnat took place on the weekend before Bastille Day, 1987, on the National Mall in Washington D.C. It provided an opportunity for the players of the old APA and the old FPUSA to meet and play against each other, and against Canadian and European teams. It was a great success. Henri Bernard, then-president of the FIPJP, was in attendance, along with 50 triples teams from the US, Canada, France, and Switzerland. It was a great kick-off party for the new national organization. Here are some pictures. The historical succession is difficult to reconstruct. This information is not available on the FPUSA web site. Information on this topic is difficult to find, often incomplete, and not always reliable. Some of the information in this article was obtained from personal discussions with Bob Morrison, of the National Capitol Club de Petanque, and Yngve Biltsted, of the Los Angeles Petanque Club. See also the Historic Issue of the Los Angeles Petanque Club newsletter, and the story by Frank Pipal on page five of the FPUSA Annual for 2012-2013. 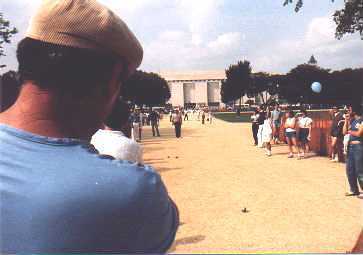 Photos of the 1987 tournament on the mall are courtesy of web site Jacques Biaggini, formerly of the La Joyeuse Boule club in Maryland. 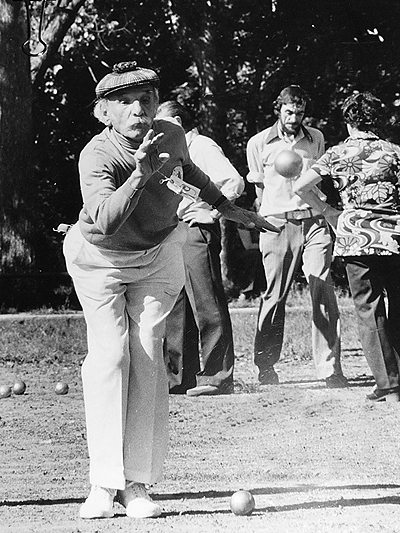 The photo of Alfred Levitt is courtesy of Valérie Feschet’s excellent article on petanque in New York City, in Voices: The Journal of New York Folklore. Alfred Levitt died in New York City in 2000, at the age of 105. The FPUSA blog has an archived list of FPUSA participants in world championships up to 20008. If you enjoyed this post, you might enjoy its companion piece A brief history of petanque in the USA or some of our other history posts. Enfin une synthèse pasionnante et précise sur l’histoire de la FPUSA, merci beaucoup.